Today, the Horseracing Integrity Act of 2017 (H.R. 2651) was introduced by Representatives Andy Barr (R-KY) and Paul Tonko (D-NY). The bill would create a new Horseracing Anti-Doping and Medication Authority and uniform racing medication rules. Representatives Barr and Tonko had previously introduced a racing medication bill that only applied to Thoroughbred horseracing. The recently introduced bill, while similar to the previous bill, has several key differences. Most notably the new bill would apply to Quarter Horse and Standardbred races as well, not only Thoroughbred races and prohibits the use of any substance within 24 hours of a race. The AHC is continuing to review the bill to determine its impact on the horse racing industry and taken has no position on this legislation. Authorize the creation of the Horseracing Anti-Doping and Medication Authority, or Authority. The board of the Authority will be composed of thirteen members, including the chief operating officer of U.S Anti-Doping Agency (USADA), six individuals representing USADA, and six individuals appointed by USADA from various the sectors of the horseracing industry. The Authority would operate nominally under the Federal Trade Commission. The Authority will have responsibility for developing and administering an anti-doping and medication control program for covered horses, covered persons and covered horseraces. In general the Authority shall exercise authority over all Thoroughbred, Quarter Horse and Standardbred horseracing anti-doping and medication control matters. The Authority will be required to create a uniform set of anti-doping and medication control rules, including lists of permitted and prohibited substances. The Authority will also be required to promulgate uniform rules for imposing sanctions for rule violations. The bill will also establish several standing technical committees to assist the Authority. The Authority, the medication program, and enforcement activities will be funded by an assessment placed on state racing commissions based on the calculation of cost per racing starter to fund the program. The bill prohibits the use of any substance or medication within 24 hours of a race. The full bill can be viewed here. The bill has been referred to the House Committee on Energy and Commerce. The AHC is continuing to analyze the details of the bill and will follow up with additional information. Congress has reached a tentative agreement on a bill to fund the federal government through September 30, 2017. Importantly, the bill contains limited H-2B cap relief and other H-2B provisions beneficial to users of the program like the horse industry. The H-2B program is used by members of the horse industry, principally horse trainers and owners who cannot find American workers to fill semi-skilled jobs at racetracks, horse shows, fairs and in similar non-agricultural activities. 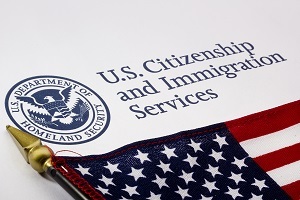 The cap for H-2B visas for the first half of the fiscal year was reached on January 10th. For many employers that means no H-2B workers will be available if they are needed in 2017. This could cause many horse employers to struggle to find enough workers and force many to reduce their operations. The bill provides the Secretary of Homeland Security with the authority to raise the H-2B cap when he determines that there is an economic need. However, it limits the total number of H-2B workers that may enter the U.S. during fiscal 2017 to 129,547, up from the current cap of 66,000. It should be noted, even if the bill passes it will still be up to the Secretary of Homeland Security and the Administration to use this authority. The American Horse Council and horse industry have been urging Congress to provide immediate H-2B cap relief and supports the inclusion of this provision in the spending deal. Congress is expected to pass the bill before the end of the week, but until that happens changes to the bill are still possible.